Kids are fast learners, and one of the best lessons that we can teach them is money management. However, money management is often hard for many adults to grasp, so how can we teach our kids about money in a way that is engaging? First, we can realize that there are opportunities to teach children about money every single day. Whether we take them with us into the bank or let them push some buttons at the ATM, they can learn simply by doing. If you are looking for more ideas, check out the 6 below. I don’t know why (because I’m not shy about it!) but money is a taboo topic. People don’t like talking about their budgets or their debt or what they paid for their house. While I am a private person and I don’t want my future kids to know my salary, I do think that it’s important to talk about money topics. 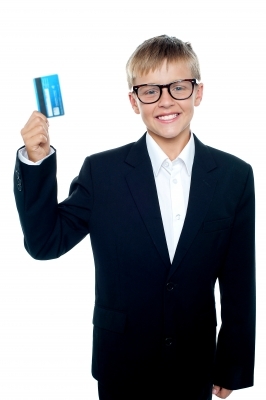 Kids can learn about investing, interest rates, banks, checking accounts, and credit cards at a very young age. Having all of these topics open for discussion will make them comfortable with money. It will also put them way ahead of the curve when it comes time for them to grow their own nest egg. While it’s important to teach children how to save, it’s equally important to teach them how to give. Whether it’s splitting their allowance with a charity of their choice or having them drop change in a donation bucket, you can teach them how lucky they are and how the money they decide to donate can be used to help others. Instead of giving your kids an allowance just for being your kids, why not ask them to complete certain chores around the house? This will teach them that money doesn’t drop out the sky. You actually have to work hard in order to get it. When kids are young, many parents decide to have two or three piggy banks. You can have one for spending, one for saving, and if you want, one for giving too. That way, every time your child receives money, they can split it between their piggy banks. When they grow older, they can get their own checking and savings accounts. Kids watch absolutely everything we do. I remember telling my mom to “just write a check for it.” However, I had no idea what writing a check meant at the time! Show your kids how you are paying for things. Explain to them different methods. Tell them that you are buying yourself a new dress because you worked hard, and you have money in your bank account because of it. You’d be surprised what they pick up! Kids are sponges! T.Rowe Price has a fun, interactive game called The Great Piggy Bank Adventures where you can “earn money and buy cool stuff.” Kids also learn about investing and saving up for goals through the game, so it’s a great resource! What are some ways that you taught your kids about money?